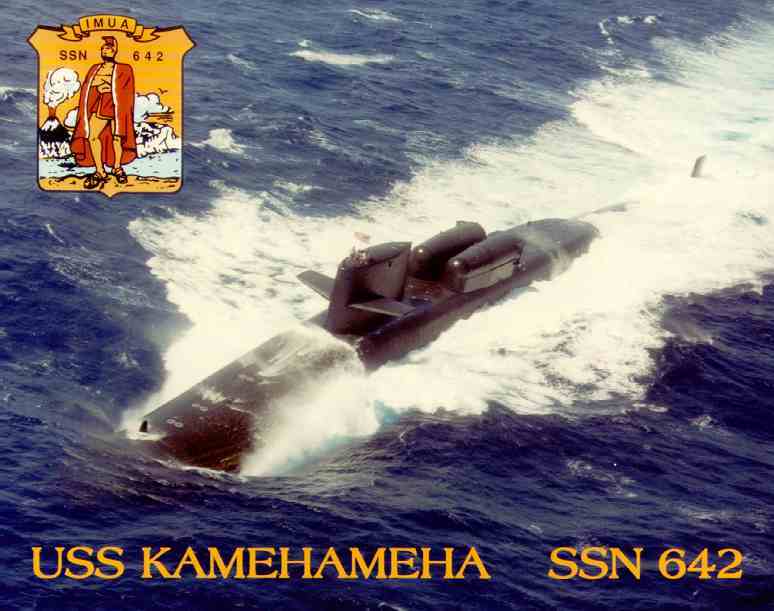 As the new millennium dawned, the Kamehameha remained attached to Squadron ONE in Pearl Harbor Hawaii and continued to perform special warfare operations in the Pacific region. 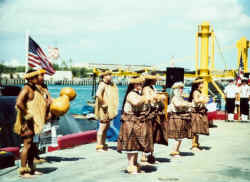 The Kam crew performed one last WESTPAC in 2001 before returning to Pearl Harbor. They say that all good things must come to an end. 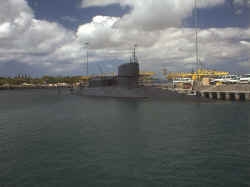 An inactivation ceremony was held on August 8th, 2001 in Pearl Harbor. 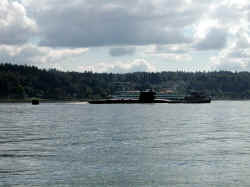 After the inactivation, Kam proceeded to Puget Sound Naval Shipyard in Bremerton, Washington with stops in San Diego and Alameda along the way. 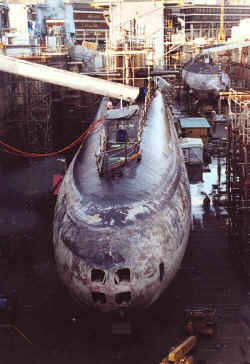 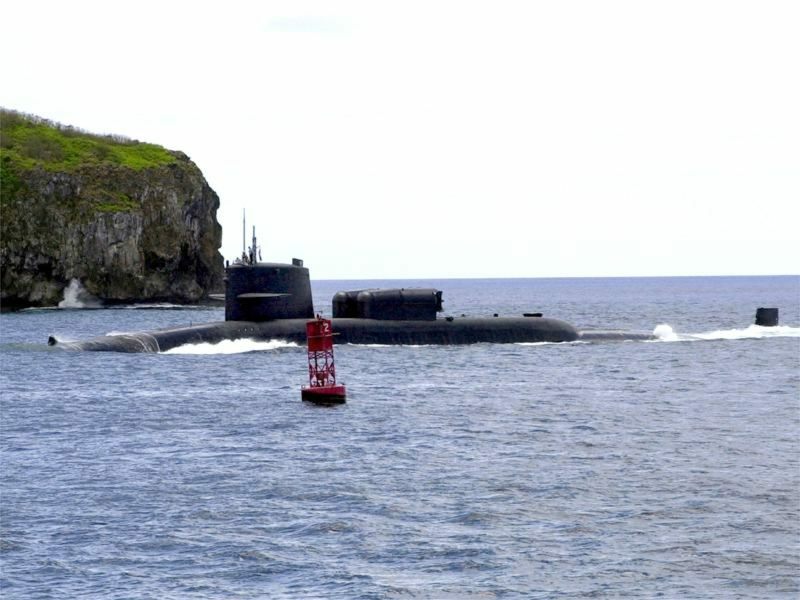 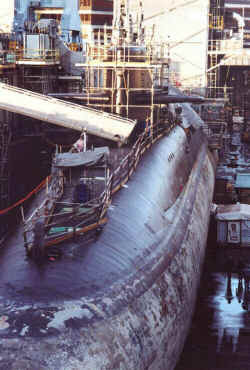 At PSNSY, she began the process of being dismantled as part of the Submarine Recycling Program (SRP). 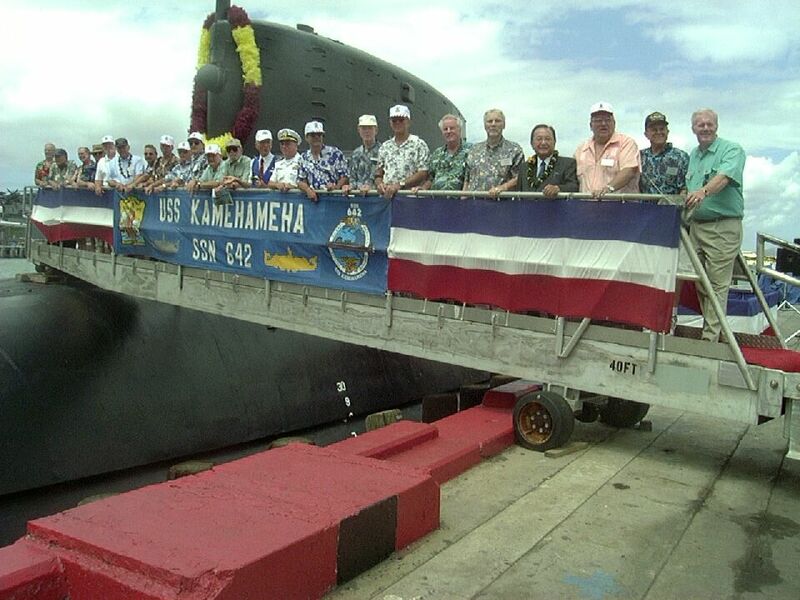 The Kamehameha was formally decommissioned on April 2, 2002 at Puget Sound Naval Shipyard in Bremerton Washington. The Kamehameha completed SRP in late 2002 and no longer exists as we once knew her. 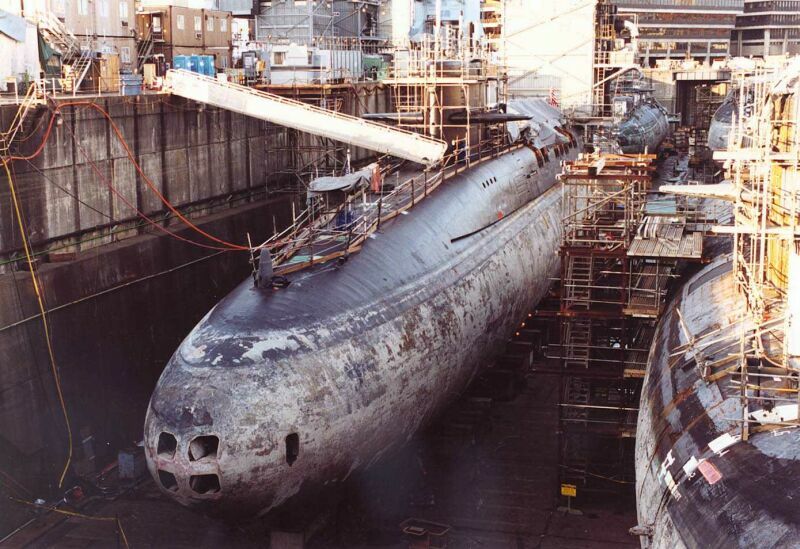 However, some parts will live on. The sail and fairwater planes have been shipped to Hawaii where they will become part of a museum exhibit along with the bust of King Kamehameha, the koa plate, bow and spear, and the monkeypod wood table from the ship's wardroom. 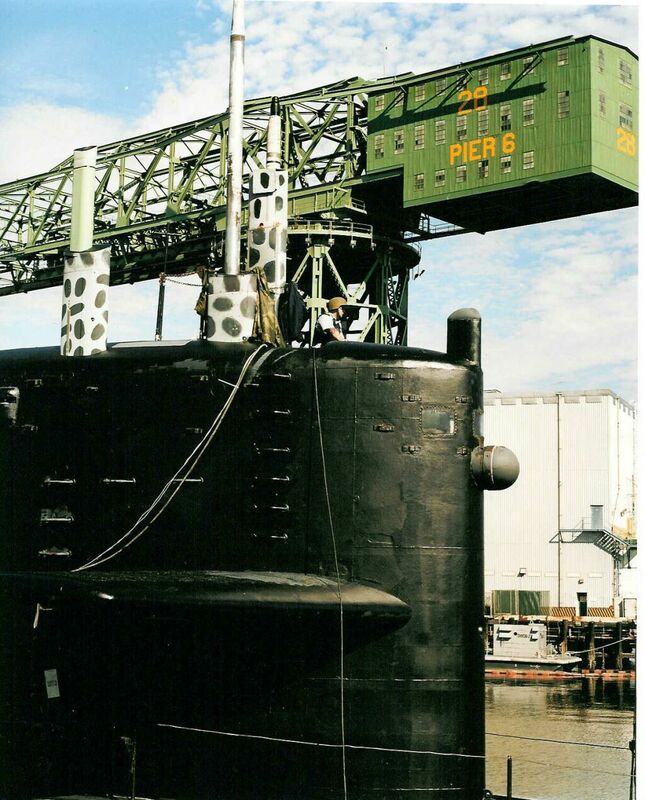 Also, the periscopes have been donated to the Deterrent Park on SubBase Bangor where they will be installed on the USS Woodrow Wilson exhibit. 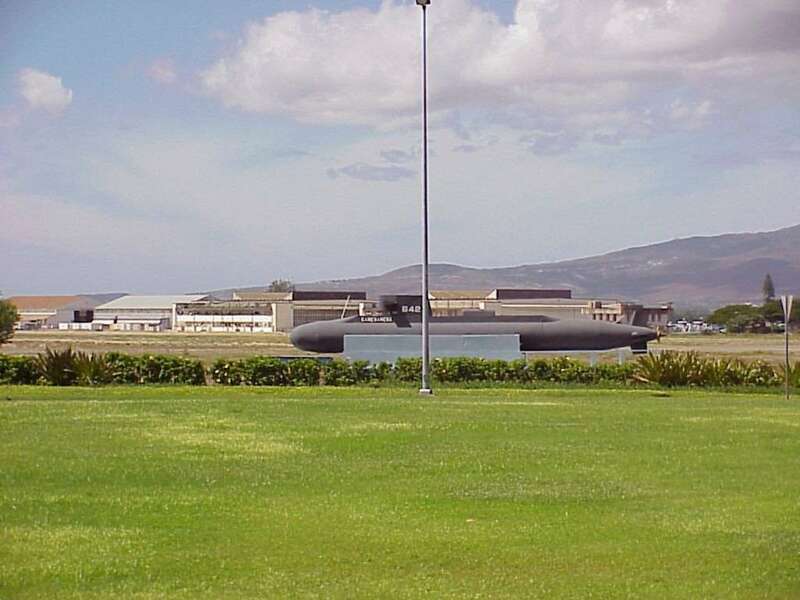 Scale replica of the Kam on Ford Island, where the SDV team is based. This picture was donated by William Bauman and was taken in Guam in April? 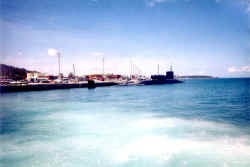 of 2001 during the mini, 3 month WestPac. Another nice Guam picture donated by William Bauman. 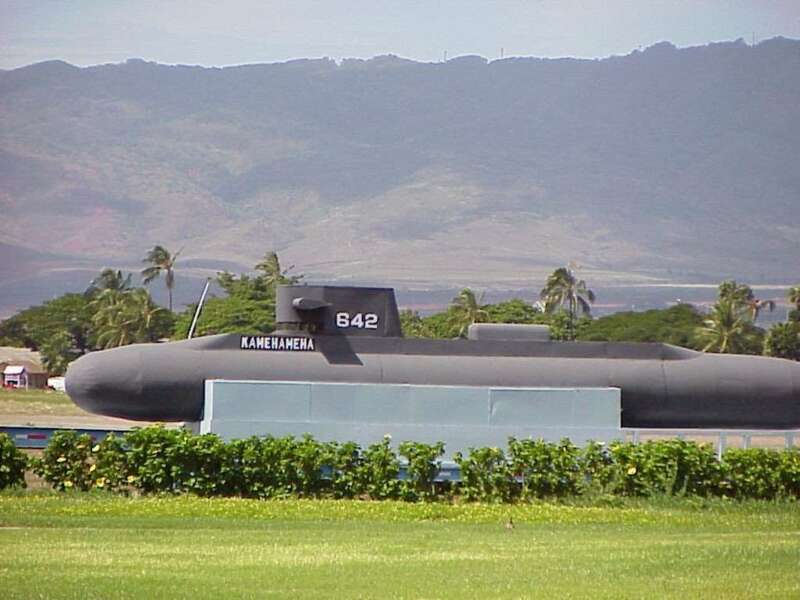 On August 8th, 2001, an inactivation ceremony was held in Pearl Harbor Hawaii. 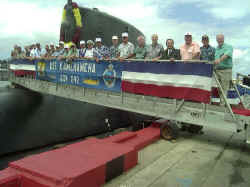 Click here to see more photos from this event. This great photo from the inactivation ceremony was taken by Mike Hill. 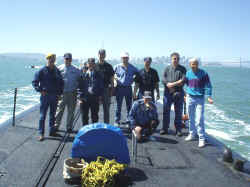 Senator Daniel Inouye is standing there on the brow with some former crewmembers. 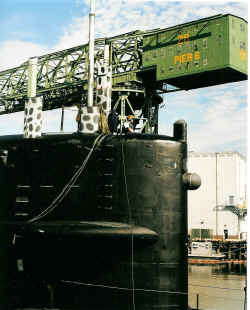 Over Labor Day weekend 2001, 24 former crewmembers were invited to ride the Kam as part of a Distinguished Visitors Cruise. 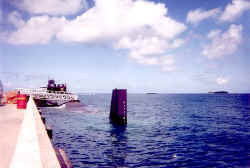 Click here to see more photos from our cruise. 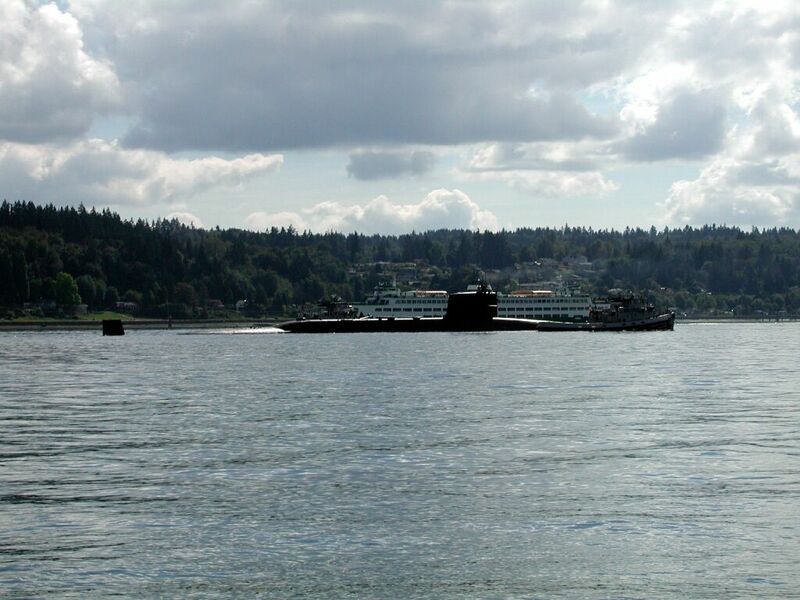 This is the Kam coming into Bremerton for the final time. 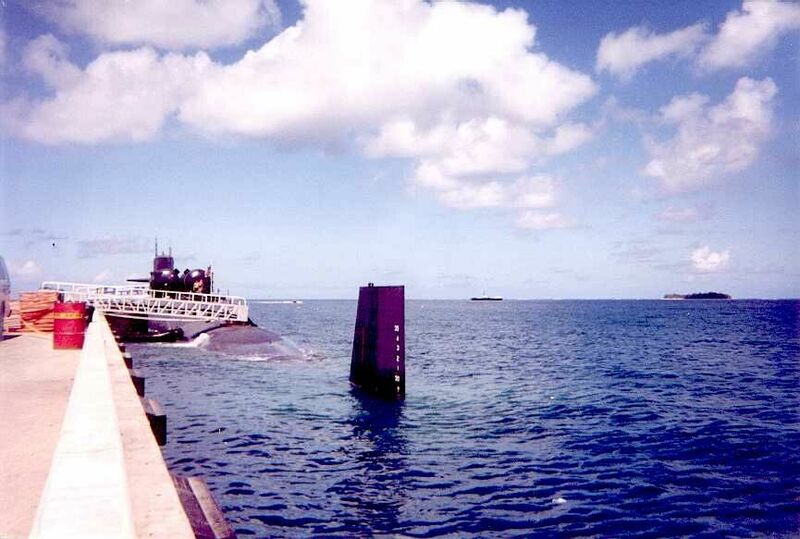 Photo taken by Wendi Woods, a co-worker of Bill Hupe. The Kam in the drydock at Puget Sound Naval Shipyard. 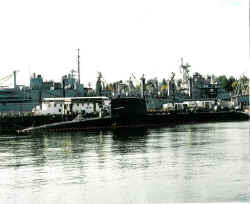 Official USN Photo. 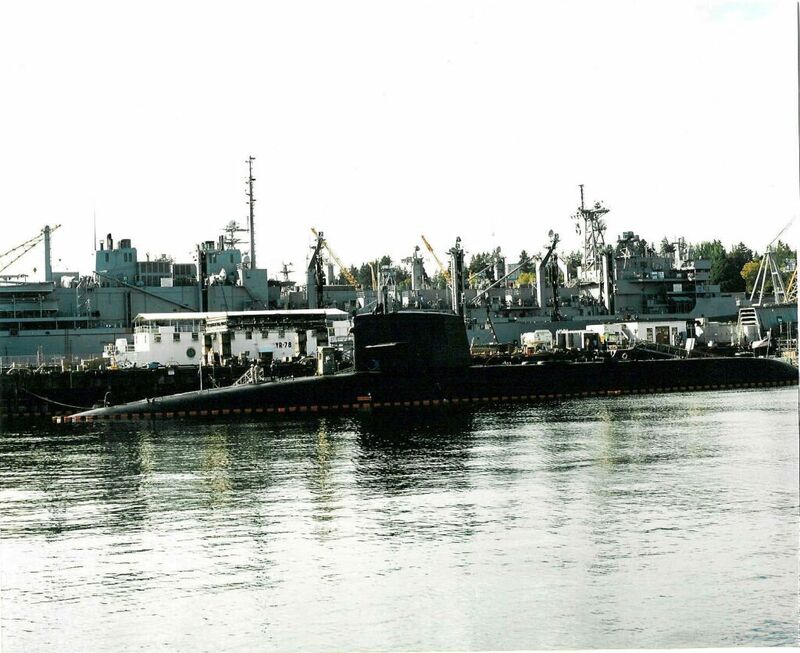 After nearly 37 years of service, the Kamehameha was officially decommissioned on April 2, 2002, at Puget Sound Naval Shipyard, thus ending the journey of this truly great ship. A reunion was held to coincide with the decomm. 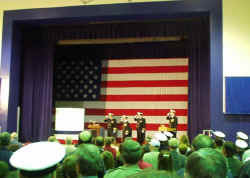 Click here to see more photos from this event.